Wren Collection, including Baby Wren, Sister Wren AND Lady Wren is now available for a fantastic price! For just $12 you’ll receive all 3 patterns from 6 months up to Women’s 3X sizes. You’ll be able to knit up beautiful, simple and super quick sweaters for all of your favorite ladies! Lady Wren is the perfect layering piece for warmer months. 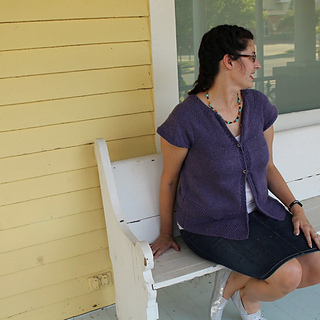 Knit in soft and breathable Knit Picks Comfy Worsted, this top down cardigan features short sleeves and a beautiful combination of Stockinette, Irish Moss and Seed stitches. 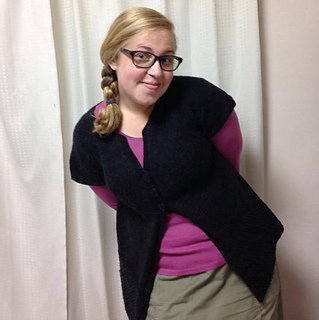 The sweater begins with a provisional cast on at the neck, increases for the yoke, and sleeve stitches are removed to waste yarn after dividing while the rest of the cardigan is worked to the lower edge. Notes are included to adjust the length for a custom fit. Stitches are picked up and a decorative Seed st band is worked to finish the front with a flourish. Finally, sleeves stitches are replaced and several rows are worked to finish. This is a layering piece, so positive ease of 2-4” larger than actual bust size is recommended. 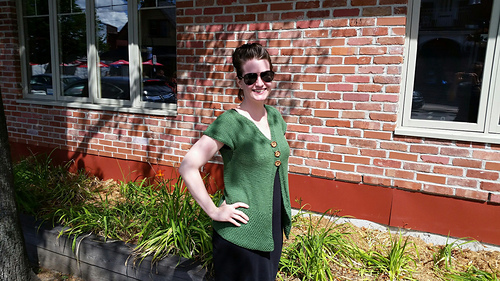 Simple enough for a beginning knitter, this pattern works up amazingly fast—you’ll be wearing your sweater in no time! Required skills include provisional cast on to begin, right lifted increases and picking up and knitting stitches for the edging and sleeves. A link to a video tutorial is provided within the pattern. Yarn: Knit Picks Comfy Worsted OR Comfy Worsted Heathers Special Reserve (75% Pima cotton, 25% Acrylic, 109 yds/50g ball); 6-12 balls. Always check gauge. Adjust needle size to obtain proper gauge.